There’s nothing quite better than curling up with a good book. Well, maybe curling up with a good book in one of Wisconsin’s many cozy independent bookstores. 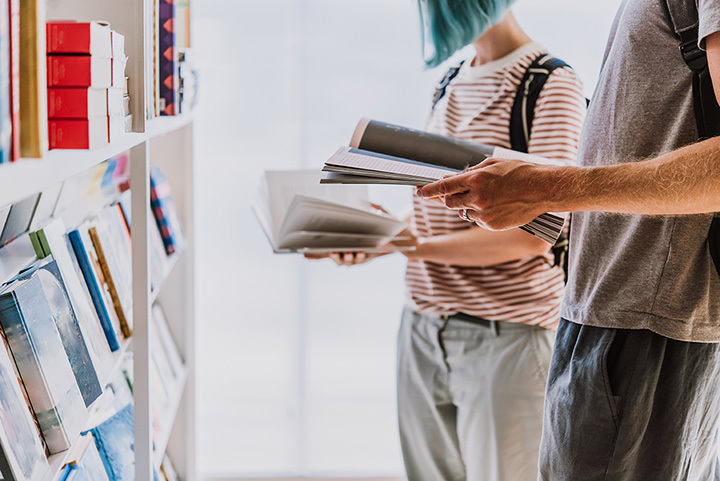 Purchase new, bestselling books from accredited authors or second-hand classics at any of these best bookstores in Wisconsin! A Room of One’s Own has been serving the Madison area since 1975. Their Rec Room showcases tons of titles custom picked out for their customers. Titles can be of the serious matter to those of the lightheartedness. A Room of One’s Own hosts events featuring great authors from all over. Shop for some of the greatest titles online at Boswell Book Company. Find everything you are looking for from specific genres, to information on joining a good ole’ book club when you choose Boswell. Their featured events of great authors bring in tons of book lovers from across the state. Redbery Books offers an interactive weekly book club available to the public. If you’re in need of some inspiration stop into the store and ask anyone of the associates their favorite reads. Everyone at Redbery is extremely helpful and will assist you with any questions you may have. Arcadia Books located in Spring Green opened recently in 2011. If you aren’t willing to make the trip, their website allows for seamless navigation plus they offer shipping for only 99 cents. They offer tons of events in house at their shop. Find out the commitment behind their first-rate independent look store and locally sources kitchen. Of course the University Book Store on the University of Wisconsin campus is going to make our Best Books list. Though their selection is a little different than others on this list, they specialize in college textbooks. It’s a one stop shop for all your UW Madison gear for the upcoming school year. The Reader’s Loft located in Green Bay is 3,300-square-foot independent bookstore. Their large footprint allows for them to have a large inventory—over 12,000 new and used titles to be exact. Get involved in the book club, read book reviews, and browse the latest releases. Make sure to get on a waiting list early because new titles go fast. Janke Book store is the oldest bookstore in Wisconsin dating back to its opening in 1919. If you are a history nut, you must visit Janke Book Store. Purchase unique gifts, Wisconsin seiners, new books, and old history books from Janke’s. Find comradery in join their book club and attending their fun events on Third Street in Wausau. The Little Read Book store is a tiny, local book joint selling more than books. Check out their quaint gift selection of jewelry, puzzles, and more. The staff is very knowledgeable about their book inventory. The Little Read Book has a cute signature troll statue greeting their hot selling books. Books & Company is small independently-owned and community-based bookstore. Since their grand opening in 1983 Books & Company has been serving the greater Waukesha County area. They have tons of book club options, staff favorite picks, and of course a great selection of both newly released hits and old favorites. 20th Century Books carries titles both new and used. They specialize in comic book sales. Genres include: Mystery, science fiction, popular culture, and fantasy. There is a book for everyone in the household at 20th Century Books located on Park Street in Madison.